Upon completion of my first college English course, I was told by my boss, write a blog. Me? A blog? Seriously. About hardware? Yes. So, it begins. I needed to think how to approach the subject. I have a kitchen that is less than Better Homes and Garden quality. We sell pretty much any organization item a person could want for their kitchen, except for a personal chef. This could work! Looking around my kitchen I feel the need! The need (not for speed, Maverick) the need for a pot and pan organizer if we are gonna cook that Goose. 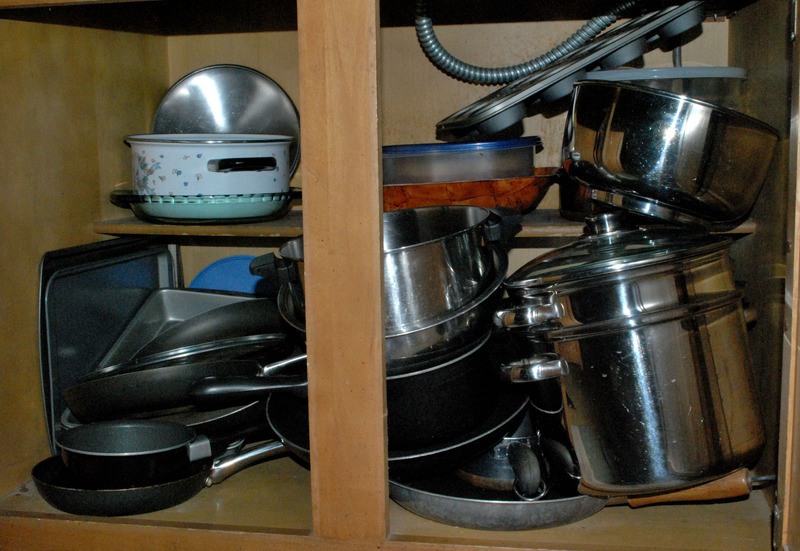 Christmas has come and gone but not the heaping pile of pots, pans and mismatched lids. It isn't easy finding the right pot and lid when you have to remove half a cabinet of chaos, only to realize the pan you needed is already on the stove. You put everything back in the cabinet and take one step away when you hear the crash and clang of the avalanche falling out on the floor. As you can see from my before pictures, I am speaking from experience! I got home today ready to tackle the cabinet under my stove top. Low and behold, the cabinet door was slightly open and the piles of pans were poised for attack! 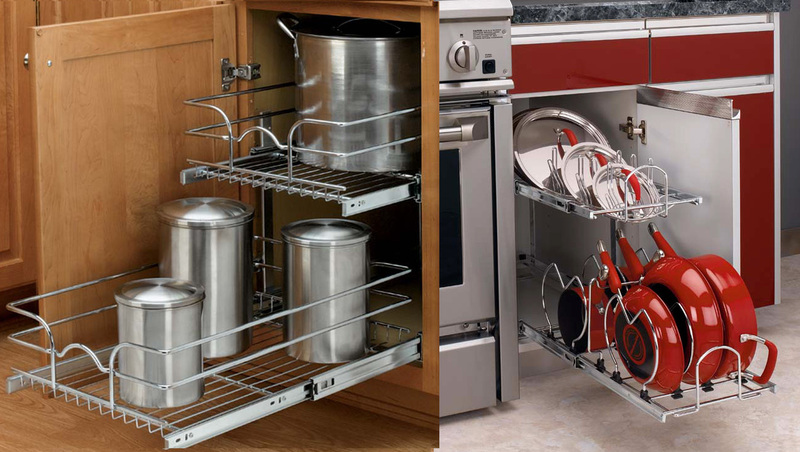 I was armed with the Rev-A-Shelf 5CW2-1222-CR Cookware Organizer and also the Rev-A-Shelf 5WB2-1522-CR Double Pullout Chrome Basket. 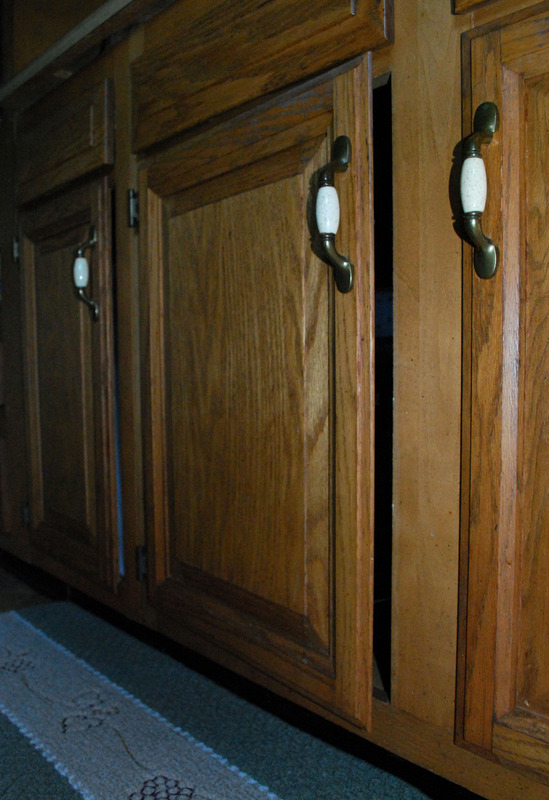 I had called my son earlier to get the cabinet door opening measurements so I would bring home the right sized units. I have a shelf that needed to be removed before I could install the units. After removing the towers of pans and lids, I got the tools together to tackle the shelf that was impeding my progress. A jig saw and hammer was all I needed to make short work of the tiny and basically useless shelf that had been yet another perch of attack in the cabinet. As with any project, I had a little flaw in the game plan. I have double doors. The right side was the intended for the 5WB2 unit. 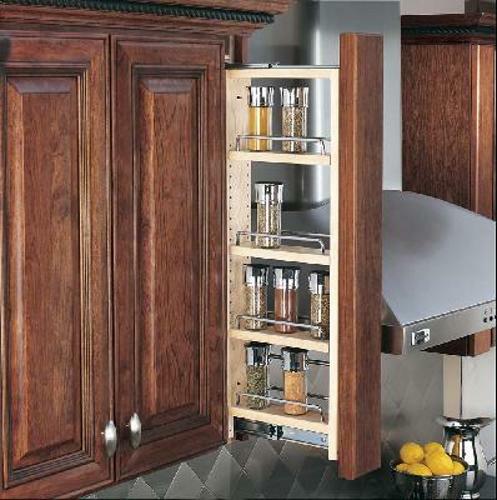 I have a 15" opening but the door does not fully open as it is against a blind corner cabinet. The door to the right only opened to a 90° angle. The hinges use an inch of the door opening space available. Change of attack plan. The 5WB2 would not be installed in the right opening. The 5WB2 is a 15" wide unit, so it will now be installed on the left and the 5CW2 in the right opening, as it is 12" wide. Assembly of the unit was relatively painless. A few screws to attach the drawer slides and supports and the 5CW2-1222-CR Cookware Organizer was ready to attach to the bottom of the cabinet. 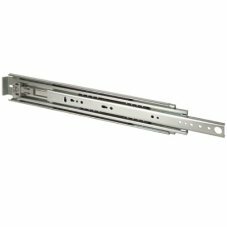 It was basically the same procedure for the 5WB2-1522-CR Chrome Pull-out Shelf Unit. 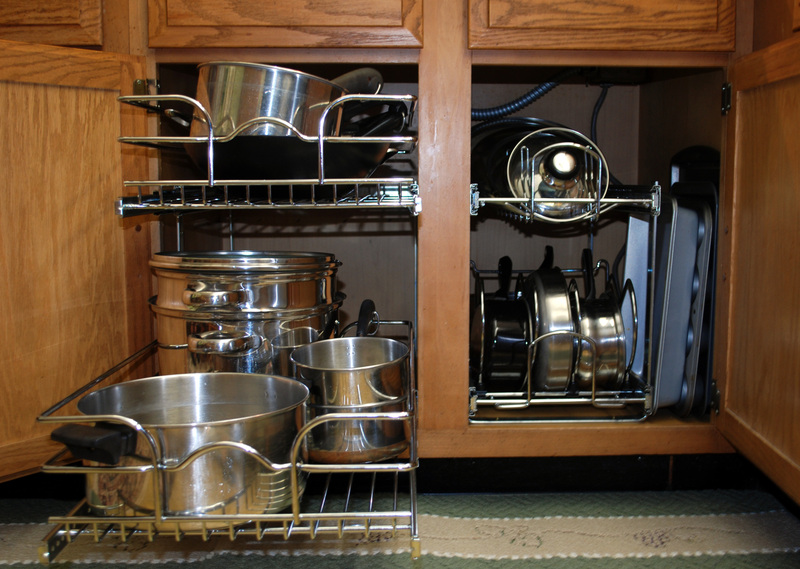 Last step was to rewash the pots, pans and lids that had been long forgotten in the rear of the cabinet and place them in the organizers. It was not a difficult installation at all. Had I realized just how simple it was going to be, I would have done this long ago! I hope you found my first entry entertaining andinformative. I have other cabinets that are equally as messy and disorganized as my pot and pan cabinet. I will not hesitate to let you see the before and after shots of my "Mess To Managed" projects. Football season is fast approaching which means my guys will be in the home theater watching the big game. This will leave me alone in the kitchen and able to tackle another cabinet. Before and after pictures of the Double Door-Face Frame-Base Cabinet project.